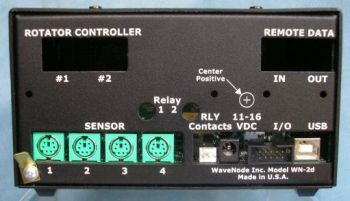 Up to four sensors for power/SWR can be connected to the device and can be installed at the point where they are required; sensors are available for 1.6 to 1300MHz and up to max. 8KW. 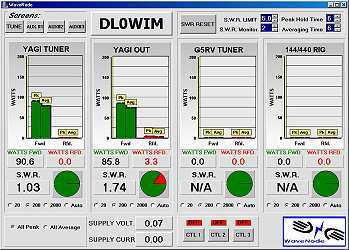 The measured data is displayed on a computer connected via USB. The required software (for Windows XP or newer, 32/64 bit) is included. 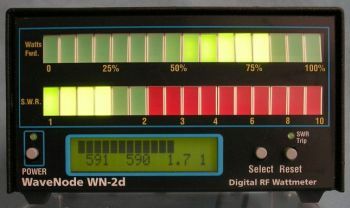 The WN-2D measures spectrum and envelope of the transmitted signal up to 20kHz modulation bandwidth. 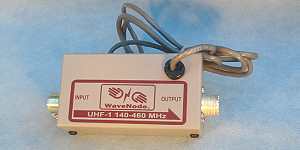 Intermod, splatter or overmodulation can be seen immediately. The required fast sampling rate of the transmitted signal is achieved by using a fast RISC processor in the sensor. 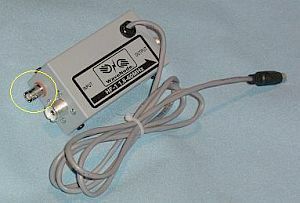 HF- and SHF-Sensor 2kW with RF-View.